Figure 1: Infrared radiometers were mounted in an isolated tree to measure the surface temperature of the tree and the snow during coincident thermal imagery overflights by an unmanned aircraft system and an airplane. 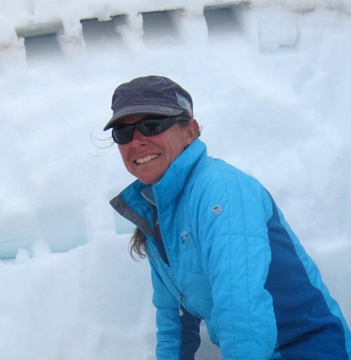 Science PI Alison Murray, on the Sierra Nevada crest (near Mount Lincoln) where samples were collected monthly to determine snow physical characteristics, levels of dissolved nutrients, dust, and the diversity of life in the snowpack. Seasonal snow cover is a key component of the hydrologic regime in many regions of the world. Quantifying snow cover accurately is particularly important in the semiarid western United States, which depends on mountain snowpack to support rapidly growing populations. However, the region’s mountainous, forested terrain presents challenges because trees and topography hamper accurate data acquisition. Currently, the snow cover algorithms applied to the satellite data assume that the fractional snow-covered area under the canopy is the same as that in the canopy openings. However, in-situ observations indicate otherwise. Through strategic collaborations with NASA’s Airborne Snow Observatory and the Airborne Visible/Infrared Imaging Spectrometer platforms, Dr. Adrian Harpold (Co-I from UNR) is leading the coordination of overflights with on-the-ground observations to compare snow cover both under and out of the forest canopy at Sagehen Experimental Forest in the northern Sierra Nevada in California (Figure 1). Analyses and modeling of these multiscale, high-density data sets are underway. 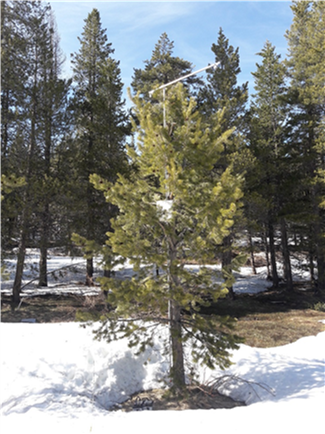 The long-term goal is to correct current overestimates of snow cover in the western United States by accounting for the effect of forest canopy. This research has far-reaching implications for hydrologic forecasting and improving scenario predictions, especially during drought conditions. This material is based upon work supported by the National Aeronautics and Space Administration under Grant/Contract/Agreement No. 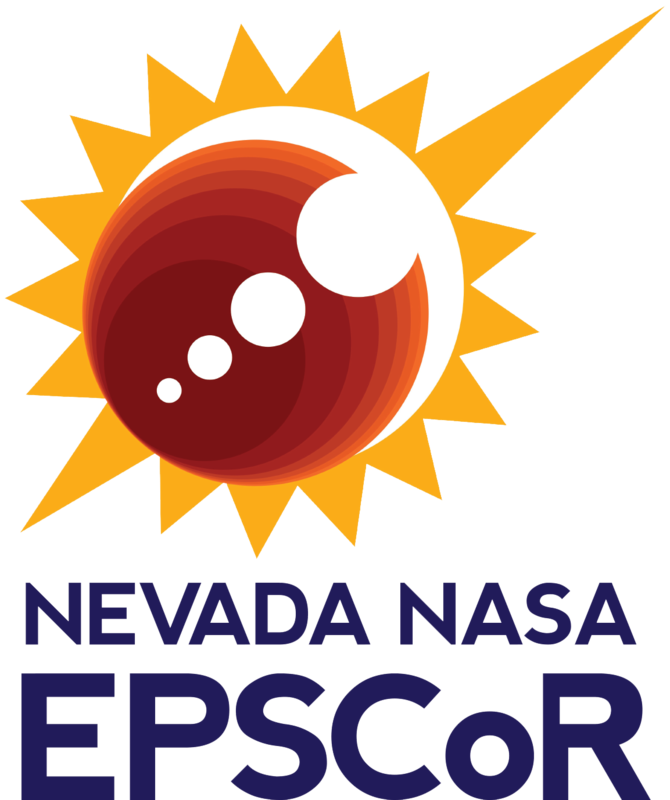 NNH15ZHA003C issued through the Nevada NASA EPSCoR program.